Between the Motos: Josh Hansen September 12, 2018 "So I’m back. I’m riding. I’m having fun. I just want to enjoy riding and seeing my kid. If racing falls into place in the right way, then maybe I’ll do a couple of them." On This Day in Moto: May 8 May 8, 2018 Ryan Dungey ends his first 450SX title run, V-E Day is celebrated with plenty of racing in Prague, and more. The List: Most 250SX/Lites/125SX Wins Without a Title April 18, 2018 Refreshing some numbers after J-Mart's recent run. On This Day in Moto: March 20 March 20, 2018 Mark "Bomber" Barnett wins in the Houston Astrodome for the fifth time in three years, Mike LaRocco sets the record for oldest supercross winner until that point, and more. 10 Things to Watch: Anaheim 1 January 5, 2018 How will Roczen fare, will Musquin keep his off-season win streak, and will there be a new champion in 2018? New Suzuki Squad for Hansen and Bisceglia December 29, 2017 Both will race 450SX in 2018. Ivan Tedesco Wins 125 Dream Race at Washougal July 31, 2017 The final round of the FMF 125 Dream Race Invitational Triple Crown ran in conjunction with the ninth round of Lucas Oil Pro Motocross on Saturday at Washougal. 250 Words: Pointing Out April 12, 2017 The graduating 250SX Class of 2017. 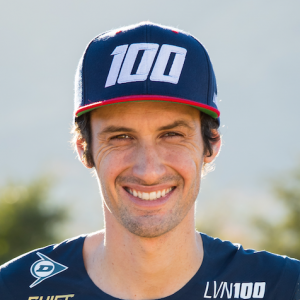 Red Bull Straight Rhythm Rider List Announced October 18, 2016 Dungey, Canard, Musquin headline event. Between the Motos: Josh Hansen August 9, 2016 Talking 2017, his car accident and more. Hansen Injured In Car Accident—Recovering But Out Of X Games June 2, 2016 Hanny was a best whip favorite.